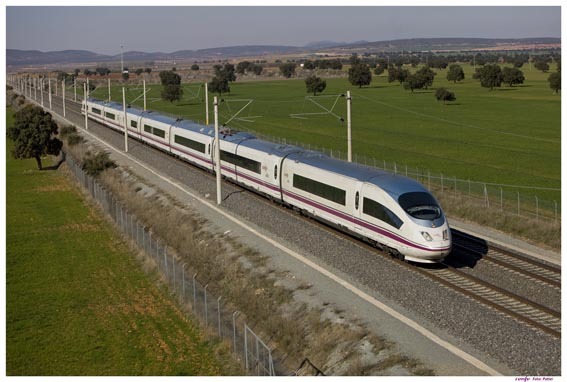 At Totally Spain, we have been planning client trips on Spain’s network of high-speed trains since the year 2000. It’s a wonderful way to get around this large country quickly, safely and affordably and we always encourage new clients to take the train and sit back and enjoy the amazing views! The Spanish high-speed network is the longest high-speed rail network in Europe with over 3,000 km of track (that’s almost 2,000 miles). That means there are high-speed trains to take you to almost all of Spain’s top attractions. Not only are the trains fast and punctual, but we love the convenience too as the train stations are always easier to access than airports. And you don’t need to arrive 2 hours before your departure either – access to the train closes a whole 2 minutes before departure! Travelling by train really is a pleasure. It’s also much more pleasant that driving in many cases. If you are a reluctant driver or haven’t got much time to explore rural Spain by car, you are better off covering the territory you want to see by train and avoiding the hassle of parking in or navigating the car around old cobbled streets in Spain’s medieval city centres. For first-time travellers to Spain, we often recommend they fly into Madrid airport where they are escorted by a private driver to Atocha train station in central Madrid. They travel by high-speed train train to Cordoba (just 1h 42mins) and stay there for 2 nights. Then they hop on the high-speed train for another short trip (1hr 5mins) to Seville for two nights. Then they are driven from Seville to Granada by one of our excellent private drivers, stopping off at Ronda to break the journey. After spending the night in Granada, they return to Madrid by rail (3hr 55mins) for the final two nights. In just one week, first time visitors have really had a chance to see some of Spain’s emblematic cities and its top attractions. Whilst we usually recommend a slower form of travel than a whistle-stop tour of a city, there are times when a quick visit is the only solution. And here is where the high-speed train is really handy again. 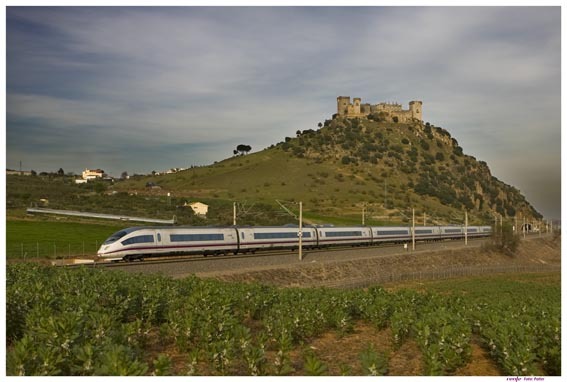 We’ve booked lots of day trips for clients on high-speed rail daytrips from Madrid. The most obvious ones are to Segovia (27 mins), Toledo (33 mins), Cuenca (51 mins) and Cordoba (1hr 42 mins) but we’ve also planned daytrips from Madrid to Valencia (1hr 38 mins) and even to Seville (2hr 48 mins). Yes Seville. You can hop on the first AVE in Madrid’s Atocha station at 7am and be in Seville before 10am. By 11am you are on a gastronomy tour and in the early afternoon you enjoy a visit to the Plaza de Espana followed by a tour of the Cathedral and a walkabout in the Alcazar in the afternoon. Hop back on the AVE after 7 hours of sightseeing and you’re back in Madrid by 8.15pm. Valencia is an even shorter trip. If you board the 8.40am leaving Madrid, you’re in Valencia by 10:30am and can spend 9 hours exploring the amazing markets, Calatrava’s stunning architecture and soaking up the Mediterranean climate and gastronomy and still be back in Madrid by 9.30pm! 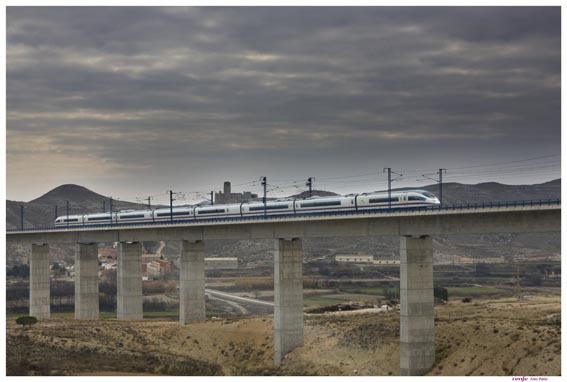 4 Did you know about the free Coffee, Snacks & Meals on the High-Speed Train in Spain? Not only do the high-speed trains have great café/snack areas but you can also order in-seat meals. For this reason, remember to cancel breakfast at your hotel if you are planning an early trip out of town and have your Continental breakfast on board the train. If you are travelling with a premium ticket, you’ll enjoy free snacks and meals and can also pop into the Club Lounge in the train station where you can have a coffee and a snack plus access lots of reading material and free wifi away from the hustle and bustle of the platforms. You can access this service two hours before your train departs. If you want to enjoy the train without any noise, you’ll be delighted to have us book you on board one of the quiet carriages where all mobile devices must be switched to silent and anything other than a brief conversation is frowned upon. It’s the perfect environment to catch another 40 winks if you’ve had an early start or to read up on where you are visiting and select what you want to do for the day ahead. This seating option is open to all ticket holders but it has to be booked at the time the ticket is being purchased so if this is something you want, you need to be upfront about it. Some of the premium class train tickets come with free car parking or discounted parking rates. 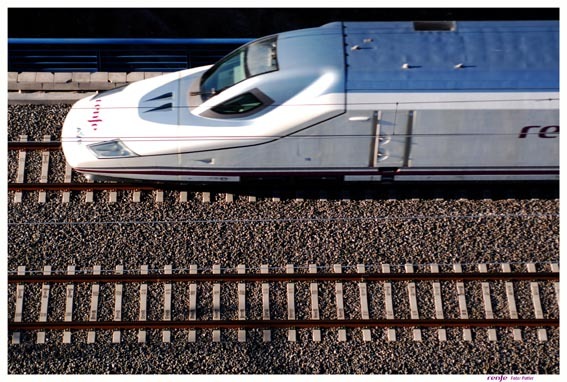 If you are driving to your high-speed rail connection, we’ll make sure to consider the benefits of paying for a premium ticket if we think the increased price and additional extras offset the charges for parking. Remember whenever parking at a train station to check whether there is a discount or offer available. 7 Are You Sitting Comfortably? Which Class is the Right Class? We’re not going to go into the nitty gritty but there are many different ticket types including Turista, Turista Plus, Preferente, Gran Class and Club Class. Although the seating arrangements are very comfortable in Tourist Class, it is true that the size and quality of the seat does increase with a premium ticket. So if the quality of the fabric makes a difference to your comfort, then you’ll be looking at bypassing Turista for one of the other classes. And the higher the class, the more extras you’ll find such as sockets for your laptop or tablet which are provided with every seat in Club class. Compare that in Tourist class where you can’t choose your seat (although if you book through us we can choose where you sit) and you’ll have to persuade the barman to let you charge your phone there. BTW If you are travelling as part of a group for a meeting or other occasion, you may want to request the 6-seater meeting booth that is free-of-charge with premium tickets. Of course, even if you are travelling in Tourist class, we can get you and your party seats beside each other but the booth is particularly handy for a private pow-wow before you get to your destination. 8 What Not to Expect: Can I Help You with That Case, Madam? Porterage is NOT something that you’ll find at Spanish train stations. The ONLY assistance provided at the station is wheelchair assistance and that needs to be booked well in advance. New initiatives crop up from time to time e.g. the Door to Door Service but this is a courier service from your hotel rather than assistance on the platform. We can arrange storage and separate transportation for any heavy items that you don’t require for the full duration of your trip. But if you are travelling with a few cases and have some mobility issues or want an extra helping hand – don’t rely on it being there at the station. We always recommend being dropped off and collected by one of our private drivers who are always willing to help with bags (and whenever feasible will walk you to the train platform). Compared with the average taxi driver in Spain who can sometimes make opening the car boot feel like a personal ordeal, we really do recommend organising a driver in advance. We have an excellent network of private drivers all over Spain and Portugal and constantly receive wonderful feedback from our clients about their kindness and resourcefulness. 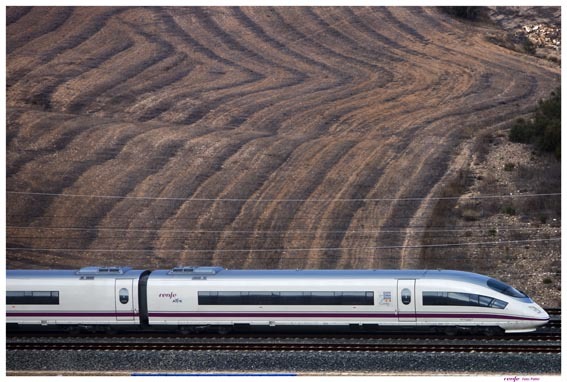 Although Spain is well served by a modern high-speed rail network, there are still some mountainous regions that are not served by a high-speed service. So if you want to avoid train trips of over 5 hours duration, you’ll need to fly directly into them or drive there or take the bus. Typical examples include the Basque Country, Cantabria, Asturias and Galicia. Trains to and from these regions and within Northern Spain are colourful and picturesque rather than fast and efficient. We can recommend a dozen other ways to enjoy the magic of these areas – just not by high-speed train. If you are travelling the length of Spain, for example from Barcelona to Seville, and don’t plan on stopping off anywhere in between, you can, of course, take a high-speed train that takes an impressive 6 hrs 3 mins. But if we were you, we’d constantly review airlines websites such as Vueling that offer competitive rates when booking well in advance. If you book your trip with us, we’ll advise you on the best routes, rates and airlines to make the journey comfortable and cost-effective. Spain is home to some wonderful historical train journeys that hark back to the golden era of rail travel. Take for example the Classic Transcantabrico and its luxury upgraded service (available for private hire) in the North of Spain that runs from Bilbao to Santiago de Compostela and Leon. There’s also the shorter Strawberry Train that runs from the Railway Museum in Madrid to Aranjuez. And the Al Andaluz that runs from Galicia to Madrid and on down to Seville, Cadiz and Ronda and Granada. There are lots more routes including the brand new Pilgrim’s Train Route from Madrid to Santiago and back. And the Robla Route that runs from Bilbao to Oviedo or south to Leon. And the Cervantes & Medieval trains. There are dozens of heritage travel options when it comes to a rail experience in Spain that are great fun and offer a unique way to embrace slow travel in the best sense of the word – through Spain’s regions, its history and its customs. 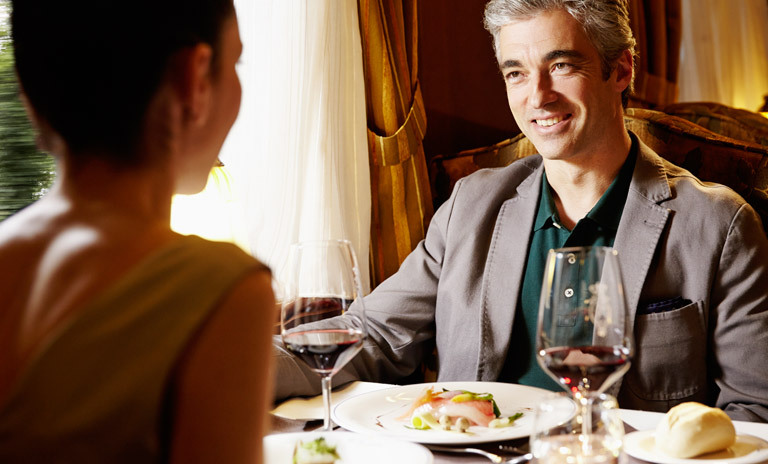 Check out this short video of the Transcantabrico here to get a sense of the luxury on offer! If you’ve read until here, you really are keen on travelling by rail in Spain! You’ll understand by now that it can be tricky working out which type of ticket you need and when to book it. Some tickets and special offers are only released for online purchase on or around 12 weeks before the date of travel and these can sell up quickly for certain routes and dates. So you need to be on top of things to get the best deals. Even when you find a bargain, purchasing the tickets online isn’t straightforward as the Renfe website rejects a high percentage of non-Spanish cardholders from the booking process – frustratingly after you’ve spend 15 minutes making your travel choices and filling in your personal and banking details! The new App for Renfe’s Train Timetables is a step in the right direction when it comes to accessing timetable information but no ticket purchases can be made by any App to date. 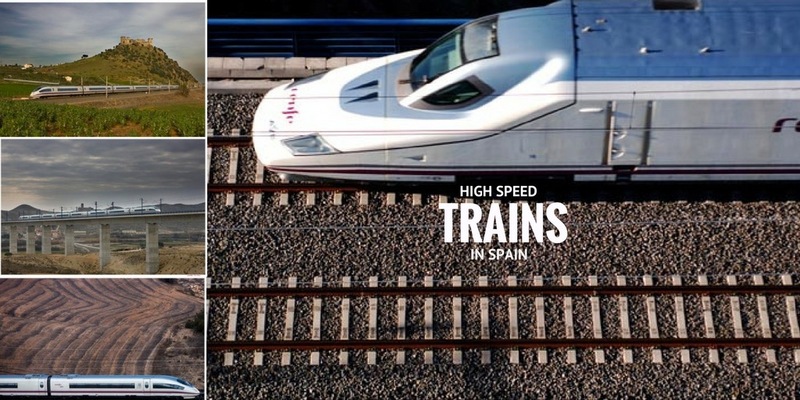 If you’d like a seamless experience on the high-speed train in Spain, we’d love to help. We book hundreds if not thousands of rail tickets in Spain every year and understand the best routes, types of tickets and times to travel. We can also recommend which routes not to take – and suggest when it makes sense to hire a car, hire a private driver or take the bus or fly. And we can look after your accommodation requirements (from the best train sleepers to the amazing historical hotels at your destinations) and all the fun extras such as winery tours, gastronomy tours, tickets for the top monuments & museums and tips on the best shopping. Posted in Active breaks, Barcelona, Cordoba, Getting Around, Madrid, Popular Posts, Seville, The Travel Industry, Useful Information, Valencia and tagged ALVIA, AVE, booking, carriages, Club, fare, high-speed, network, platform, Preferente, rail, Renfe, tickets, train, Turista.